For yet another time we could feel the amazing atmosphere created by people of the mountains. Of course, there were also several moving and emotional moments as it was a jubilee edition. For three days the Krakow Mountain Festival was visited by almost 5,000 people. The highlight of the event was the Friday night presentation by Hansjörg Auer. His mountain biography is enough to make a strong impression. During his show he focused not only on his biggest achievements, but also talked about people and climbing partners important to him. The second part of his presentation described his recent expedition to Baffin Island. 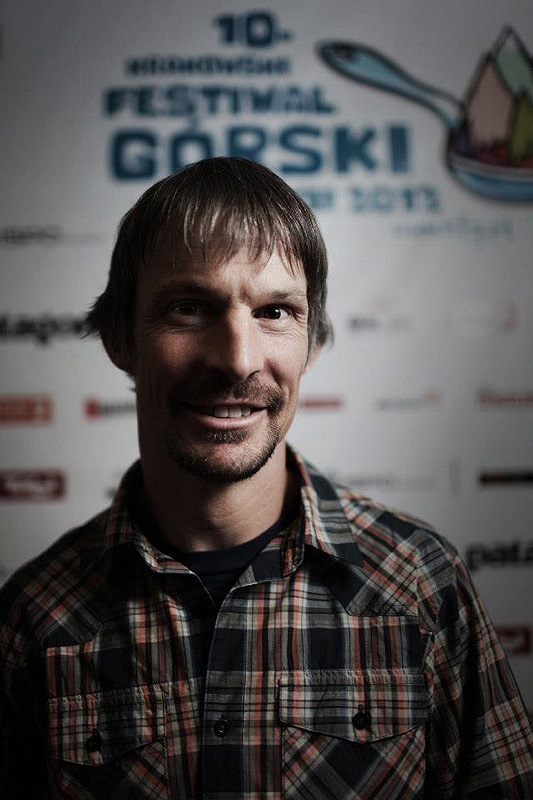 Saturday presentations were dominated by Polish climbers. Ola Taistra, Alex Raczy?ski, Maciek Ciesielski, Mariusz Serda, Micha? Król, Jasiek Kuczera, Marcin Ksi? 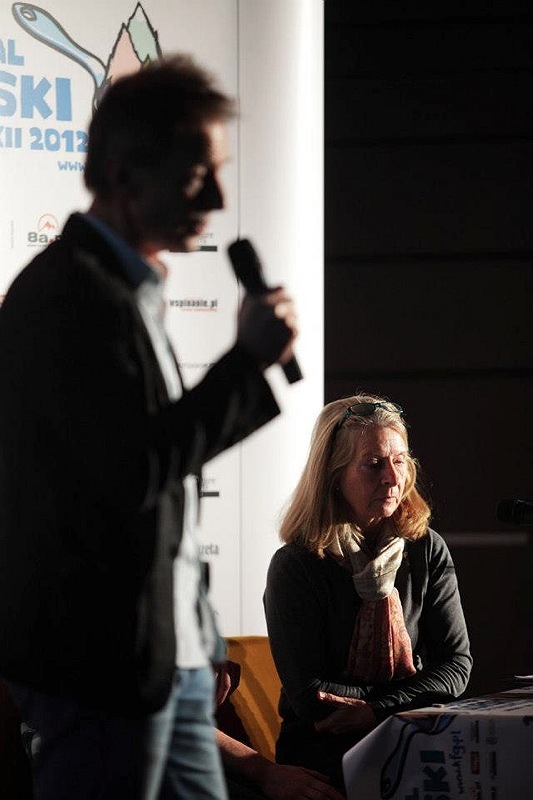 ?ak, Piotr Xi?ski and, as always warmly welcomed by the audience, Kinga Baranowska talked about their latest successes. 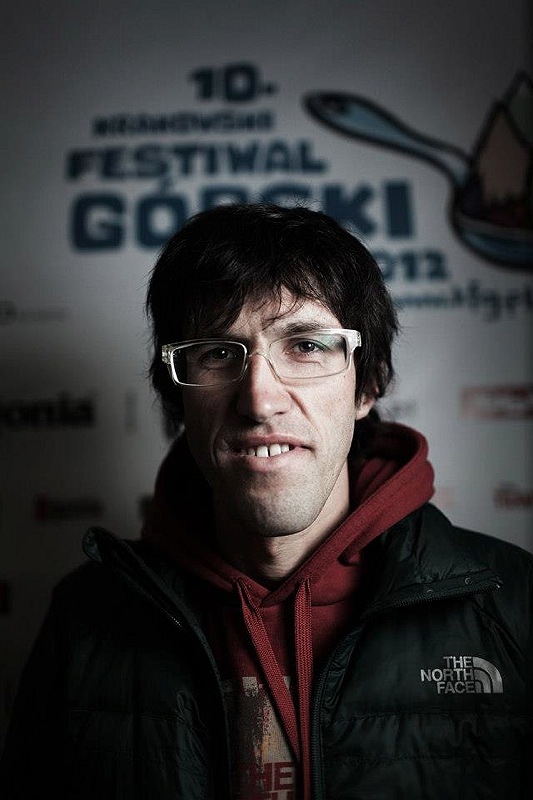 Saturday shows ended with a presentation of an exceptionally talented mountaineer – Steve House. He gave an impressive show well in line with the best lectures we remember from the previous editions of the Festival, presented by such stars as Alex Huber, Seana Villanueva or brothers Favresse last year. On Sunday, the Festival stage hosted Bernadette McDonald, who told us about her work on the book Freedom Climbers. Thanks to presentations of Janusz Go? ?b and Artur Hajzer, we listened to a story of modern Himalayan climbers who continue to write the history of Polish winter successes on the highest peaks of the globe. 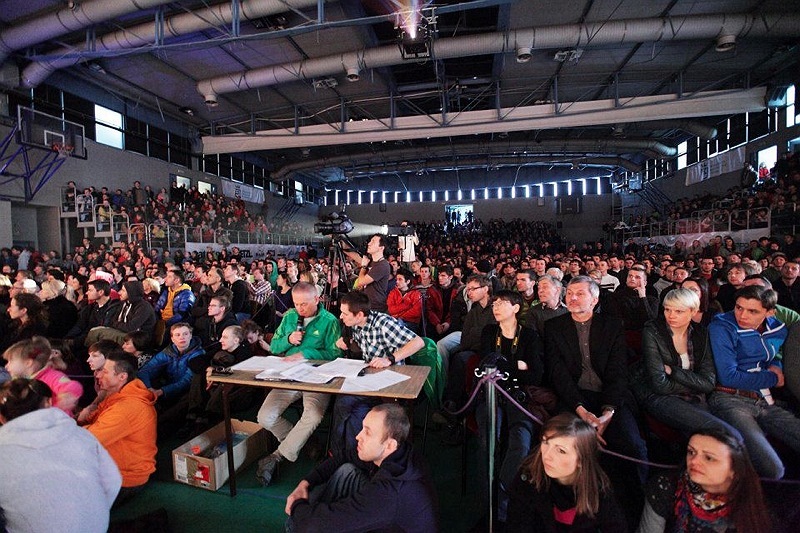 A very important event on Sunday were the Polish Bouldering Championships followed breathlessly by 1,500 spectators. Agata Wi?niewska and Andrzej Mecherzy?ski-Wiktor became the bouldering champions of Poland. The competitions were broadcast live online. Another highly popular feature of the Krakow Mountain Festival are workshops which teach mountain enthusiasts to pursue their passion in a safe and responsible way. Also a freeride discussion panel "Pure Powder" and the Outdoor Clothes and Gear Fair were attended by huge amounts of visitors. The Festival finished with an official gala hosted by Piotr and Adam Pustelnik in a light and humorous style. Traditionally, the winners of the International and Polish Film Contests were announced during the ceremony. We found out who won the main prizes, a special award for a strictly climbing film and who was chosen as the best by the audience. The films were assessed by the Jury including: Bernadette McDonald, Jerzy Surdel, Marcin Kosza?ka, Dariusz Za?uski, Piotr Turkot and Wojciech S?owakiewicz. As Jerzy Surdel, the president of the Jury, emphasised: "This year the Polish Film Contest brought us many interesting films". And Bernadette McDonald (Jury member) commented on the International Film Contest: "The films were excellent. Their directors should be congratulated on their quality and the organisers on inviting such productions". From year to year, we observe with pleasure Alastair Lee's development as a film director. "Autana" is a picture that may be interpreted on three different levels – as a pure adventure, an ambitious documentary about a challenging expedition or as an analysis of human character and psychology. This film presents a very personal story of a man and his passion, which turns into obsession. This is an artistic, elegant in form and subtle film. The Special Prize for the Best Climbing Film went to Peter Mortimer, Nick Rosen and Josh Lowell for their Honnold 3.0, which tells the story of one of the boldest and most insane soloists of modern climbing – Alex Honnold. This perfectly constructed film, made by one of the most appreciated teams of film makers, appears to be a peek into the future. The question is: "Who will be able to keep up with Honnold?" In the Polish Film Contest the Jury chose as the best (the First Prize) a film Wyprawa na Mnicha, directed by Maciej Stasi?ski. The film shows a symbolic trip to one of the most famous crags in the Tatra Mountans, called Mnich, made by Józef Pito?, who is a mountain guide and an expert in folklore and culture of the highland region of Podhale. "There were lads, but now they are gone. We'll be also gone in a while. Luckily, this short while happens to be more gracious and a wee longer for some…" [lyrics of a folk song from Polish Highlands]. In this film natives from the region of the Tatra Mountains tell their stories about life in the past during a journey towards a symbolic peak Mnich, located next to Morskie Oko Lake. The Second Prize was awarded to a film W Skale by Maciej Stoczewski. The main character of this short documentary is Marian Ba?a, a legend of Polish climbing. As Marian Ba?a says, the scenery of Morskie Oko Lake, where the film was made: "…is like a second home to me. I always return to this place." This is a film about a man we all know and like. About mountains that we all love. About a place that is, was and will be for many of us a second home. In addition to that, the Jury decided to distinguish an animated film Kozica by Krzysztof Kokoryna and Wojciech Kliczka. The Audience Award, highly appreciated by film makers, went to a film by Janusz Julo Sasa – Nasz Kasprowy. The film is a story full archive materials and memories about the cable car on Kasprowy Wierch Peak and above all about people connected with it. Another part of the gala was a decoration of the bouldering champions of Poland. This year, Agata Wi?niewska and Andrzej Mecherzy?ski-Wiktor became the golden medallists of the Polish Bouldering Championships. There is no birthday without a birthday cake. During the final ceremony, the organisers of the Krakow Mountain Festival, i.e. Piotr Turkot (wspinanie.pl), Wojciech S?owakiewicz (wspinanie.pl), Rafa? Ziobro (Ravenoutdoor), Jarek Dziedzicki (TKN Wagabunda, Krakow University of Economics), Piotr Dro?d? (Góry) and Marek Obara (Góry), had to blew 10 candles and they probably wished for the next editions of this unique Festival to be even more successful. The jubilee 10th edition of the Krakow Film Festival has already passed to history, yet now we start preparing for the next chapter of the Festival. The next edition is only one year ahead! Vorheriger Artikel[VIDEO] HardMoves 2013 – Move the Universe!